Land Rover de Québec is your luxury vehicle dealership in Québec City. We carry new and quality pre-owned Land Rover models for you to choose from. 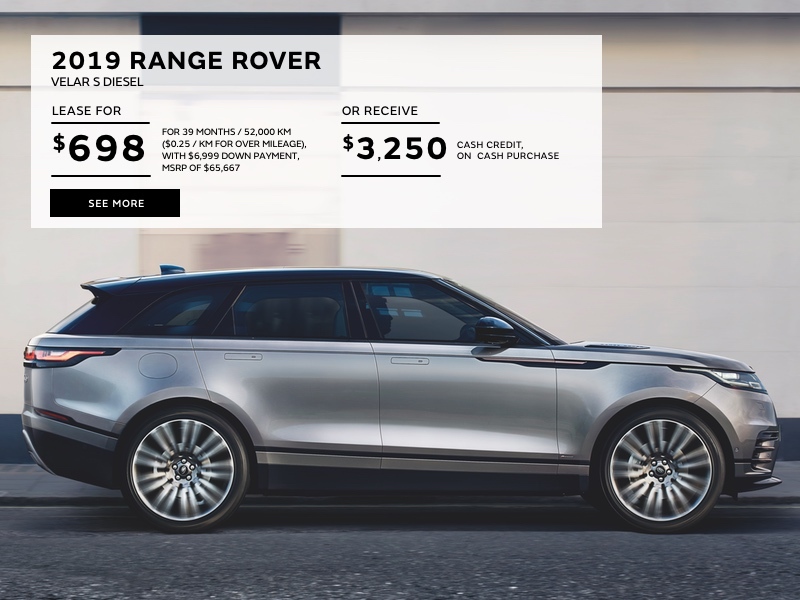 Our dealership is the place to come to if you are looking for the brand-new Range Rover, Range Rover Velar or Discovery models in Québec City. Land Rover vehicles are designed with the modern family in mind, therefore they are created with great taste that makes them family-friendly and stylish at the same time. You can also count on our pre-owned Land Rover vehicles that are selected and reconditioned to last you for years to come. Check out our new and pre-owned models online or visit us in store to take a closer look at our performance-inspired vehicles. At Land Rover de Québec, we take great pride in the services we provide. Our service department works hard everyday to help maintain your vehicle or make it ready for the road again. Come visit our dealership for all of your Land Rover repair and maintenance services. Our full service mechanical shop and modern equipment allow our certified and qualified technicians to get the job done efficiently and in a timely manner. Book your service appointment online today so our technicians can start working on your vehicle. At Land Rover de Québec, we always give your vehicle the extraordinary service it deserves! Our Land Rover de Québec dealership provides outstanding customer service; we treat our customers like royalty, simply because they deserve it. We have established our luxury vehicle dealership in Québec City because there is no other place we’d rather be: it’s chic, luxurious, beautiful and full of rich history. And for this reason, there is no better place to drive your Land Rover vehicle daily. Furthermore, our SUVs are designed to bring families together, help initiate adventures and create wonderful memories that last for a lifetime. Apart from the luxury vehicles and the maintenance and repair services we offer at our dealership, we also provide efficient and reliable financial services to help you get quickly into your luxury vehicle. Our finance experts work on a case-by-case basis to help our customers find the finance terms and rates that work best for them. Our dealership is also the place to come to if you are looking for great deals on your next luxury vehicle. Check out our demo offers, new and used vehicle offers and service offers.